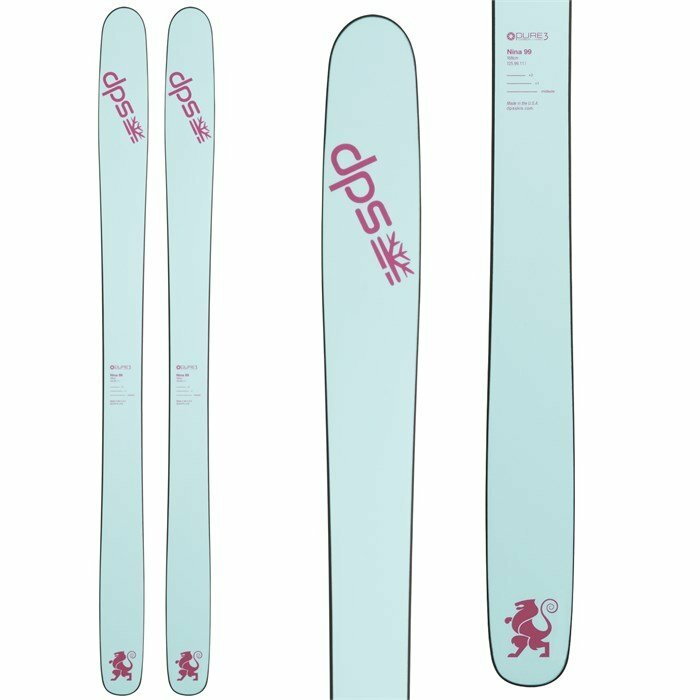 Even if it's not the year of La Niña, the DPS Nina 99 Pure3 Skis will make for one of the funnest seasons you'll ever experience. Designed with the same Paddle Tech geometry as the award-winning Yvette 112RP.2s but with a slimmed down waistline, the Nina 99s allow for effortless float in the fresh while still holding a strong edge on packed out groomers. Whatever Mother Nature dishes out, have the confidence to crush it with clout on the DPS Nina 99 Pure3 Skis. 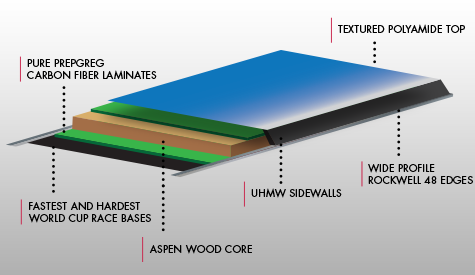 Paddle Tech (PT)  Paddle Tech is a tapered, flatter sidecut section that blends at the contact points. It's the special ingredient that drives a uniquely smooth and intuitive sense of turn shape. Pure 3 | Aspen Core  Truly unique, DPS Pure3 construction makes for the most advanced and highest performing skis on Earth. Carbon+Nano features exclusive aerospace carbon and nanotech technology, and the absolute finest accompanying materials. Revolutionary on both paper and on snow, Pure3 showcases years of research and refinement in a ski that is 30% lighter than conventional constructions, while at the same time 30% torsionally stiffer, stronger, and more powerful.